Similar to what is happening in America, Europe and the UK, political correctness is destroying Australia’s cultural heritage and what is best about our institutions and way of life. 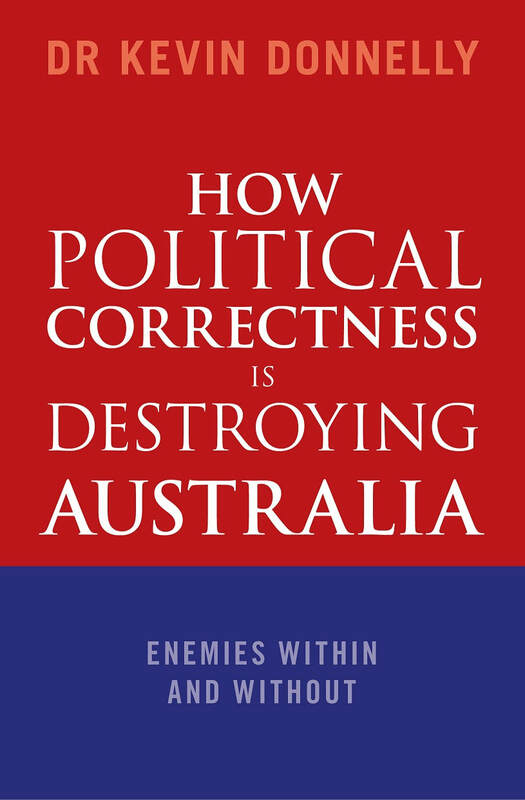 This is what Dr Kevin Donnelly explores in How Political Correctness is Destroying Australia. No longer is it possible to acknowledge and celebrate the debt owed to Western civilisation and to argue that Judeo-Christianity and epochal events like the Renaissance, Reformation and the Enlightenment deserve to be praised. Political correctness is also responsible for restricting free speech and open and dispassionate debate. Everyday conversations and interactions are closely scrutinised by the thought-police to ensure nobody offends in areas like gender and sexuality, ethnicity, physical appearance or social background. There is an alternative to political correctness and the cultural-left’s long march through the institutions. As Donnelly argues in this book, there is much of value and beneficial about Western civilisation and our way of life. Unlike the millions around the world living under the tyranny of totalitarian dictatorships and oligarchies those in the West are guaranteed freedom, liberty and equality before the law, as long as we continue to fight for it.